Stephen and Amelia interview Stephen and Amelia. Special thanks to Stephen and Amelia from Amelia Anne Photography for joining us today! 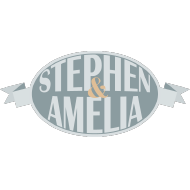 Check back Sundays for more episodes of ‘A Wedding Podcast’ with Stephen and Amelia.